Las Vegas, NV is a bright, glittering jewel in the middle of a desert – and it’s a hard city to keep pace with. And it’s a hard place to be healthy, what with everything it has on offer. With our vegan meal delivery service operating throughout Las Vegas, we’ve solved the problem for you. You can order up to three meals a day from just $27.99, delivered straight to your door. We’ve used only the finest, freshest ingredients to produce our range of delicious dishes that will put you on the right track for a healthy, happy lifestyle. If you’re concerned that it just isn’t convenient to eat healthily and that grabbing something from the local fast-food joint is always going to be easier, think again. Our vegan meal delivery service brings meals to you anywhere in Las Vegas, NV, and it couldn’t be simpler. Just keep them in your refrigerator until it’s mealtime, pick one that appeals, warm it up – and there you have it. Fast, efficient, and guaranteed to be tasty, too. It’s as easy as slipping a coin into a Las Vegas slot machine. 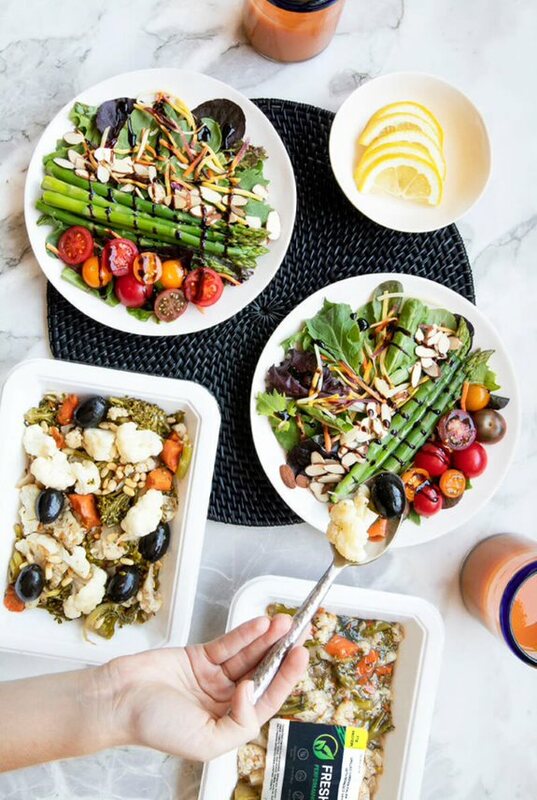 All meals delivered via our vegan meal delivery service to you in Las Vegas, NV are prepared by professional chefs who have done the thinking for you. Fiber, protein and carbohydrate components are carefully measured to ensure you’re getting the right levels to maintain a healthy lifestyle. Moreover, we’ve made sure that every vitamin and mineral from A to zinc has been included. When you’re eating the right food, your body is happier and your brain is sharper. There’s a lot of fakery in Las Vegas – but never in our 100% plant-based, organic meals.